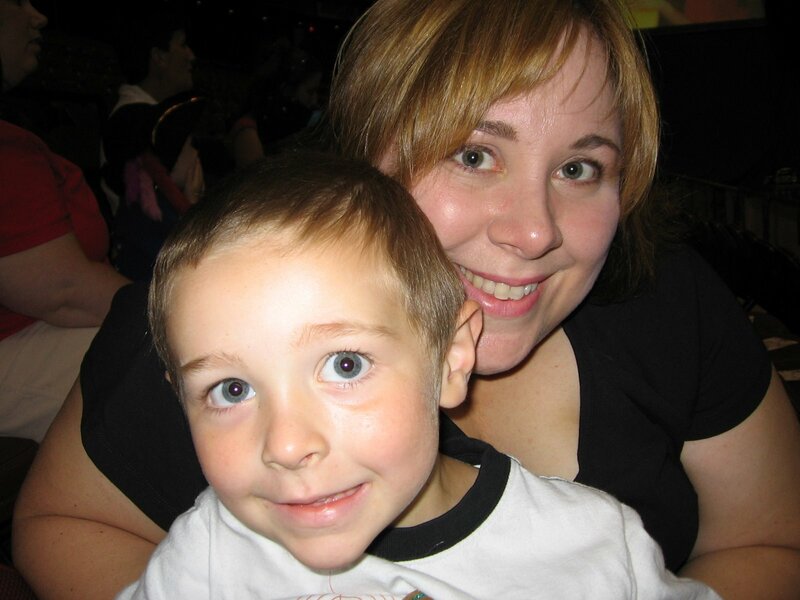 Note regarding this post: S. forbid me to put his picture in a Wiggles post. So, because of this unfortunate event, I decided to “unveil” the mystery that is BagMomma. Scroll to the end, and be rewarded. lol. or not. 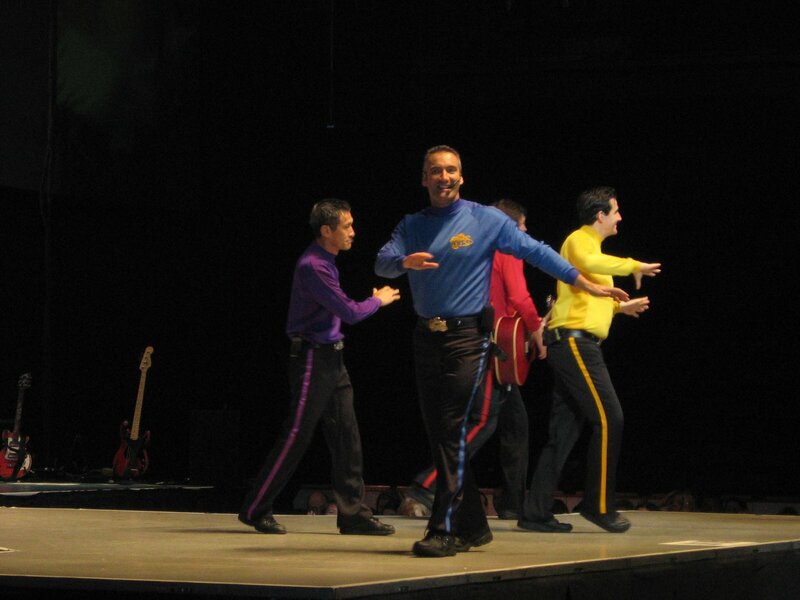 David had a blast at the Wiggles concert yesterday. 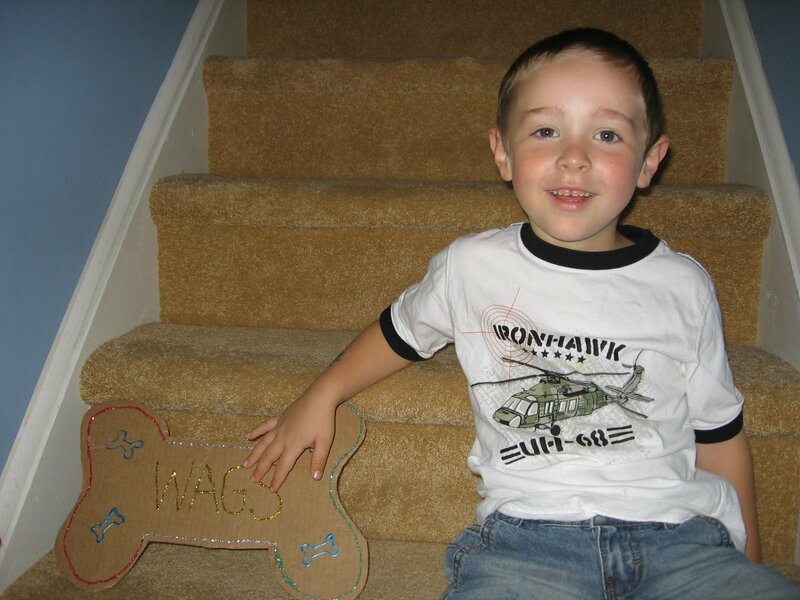 Prior to the event, he tortured Mommy and Daddy… because pre-show wiggly protocol calls for creative crafting. Like the Rocky Horror Picture Show (and if you’ve been to this movie, you get a gold star for…..being old like me), true Wiggles fans bring props. Not toast, you Rocky Horror fans…. bones for Wags the Dog and Roses for Dorothy the Dinosaur. David was prepared: Then, when we got to the concert, we bought the Wiggly accessories… a t-shirt and a feather sword. 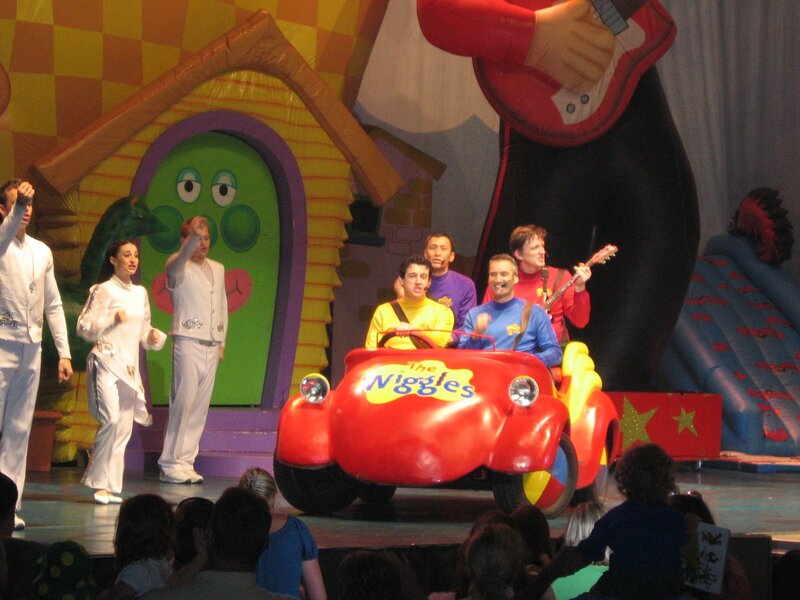 We were in the 3rd row, close enough to see the new Wiggle get a little winded singing “Hot Potato”. And, David was most excited when Murray Wiggle collected the crafty bone for Wags. He’s not saying NO! Please no more bones! 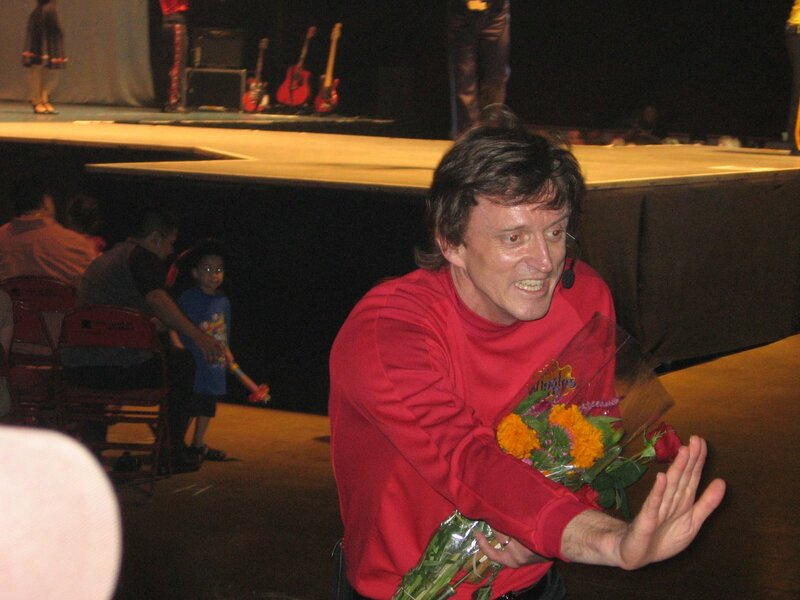 He’s waving to David. 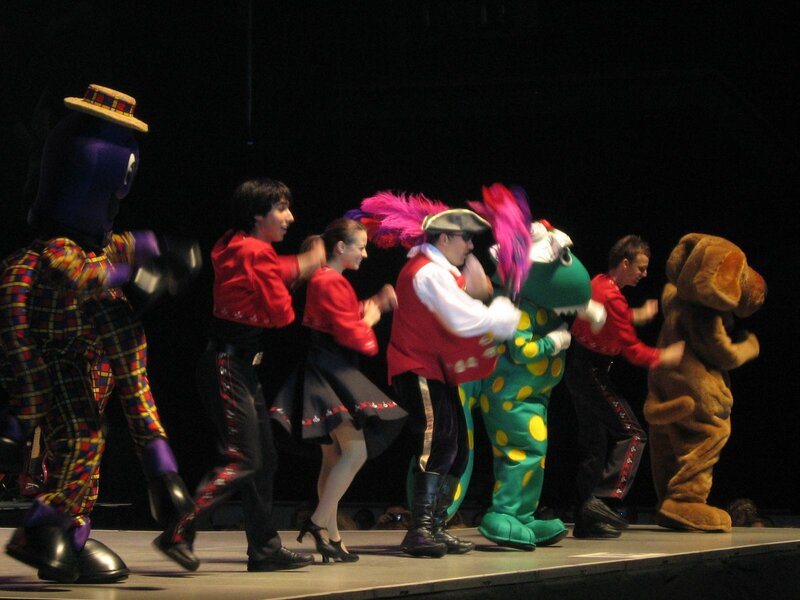 oh, it was a blast… nothing more splendid than seeing an arena full of parents singing “Fruit Salad” and the ever popular “Rock-a-bye Bear”. Oh wait, you are not impressed??? 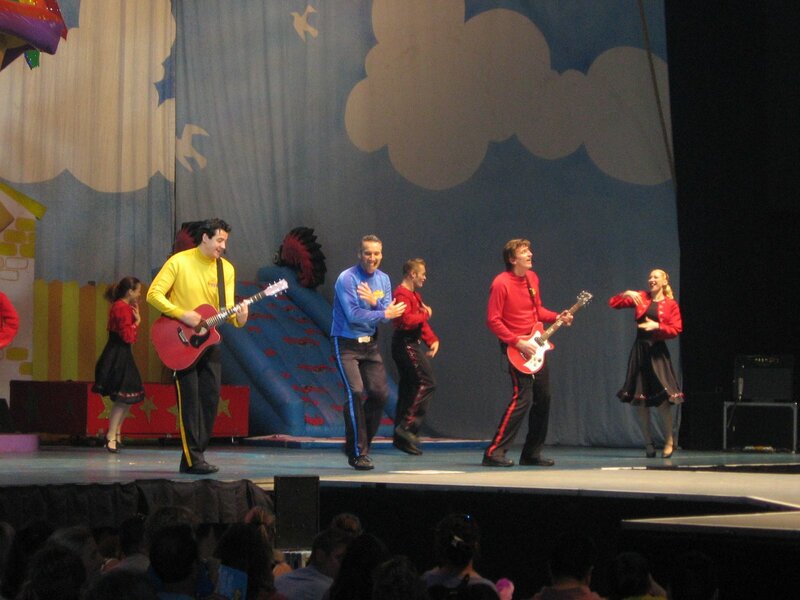 What about the simultaneous Elvis move while Sam and Murray Wiggle played guitar? Darn, you missed it. You missed the Wiggle car too! You feel bad, no?